US CUSTOMERSHave a question? Find the answers to your most frequently asked questions. The Shopping Bag holds products you wish to purchase while you shop. Items you place in your Shopping Bag will remain there for 30 days unless you clear your cookies, complete your purchase, remove the item(s) or the item(s) is no longer available. Update Quantity. To do this, simply type in the quantity you wish to purchase and click "Update". Remove an Item from Your Shopping Bag. To remove an item, check the "X" and your page will refresh removing the item. Continue Shopping. If you wish to continue shopping on our site, the items saved in your bag will remain there for 30 days as mentioned above. Click on "Continue Shopping" to search the site for additional items. At any time during your shopping experience, you can return to your Shopping Bag by clicking on the "Shopping Bag" icon in the top right corner. Proceed to Checkout. When you are ready to purchase your item(s), click on "Proceed to Checkout." Our checkout process is fast, easy and secure. Promotional Code. You may enter a promotional code in the Discount Code field. If your promo qualifies, it will be displayed in discount summaries below. . Gift Cards. If you select to add a gift card you will be taken to the shopping bag where you can enter your gift card number and PIN number. You may also check your gift card balance here as well. Only one Promotional Code per order will be accepted. If you are currently logged in to your account, you will be taken directly to the Checkout page when you select "Proceed to Checkout" on the Shopping Bag page. If you are not currently logged in you will be directed to the Checkout page where you can chose to checkout as a returning customer or as a guest. If you would like to create an EILEEN FISHER account, you will need to enter a valid email address and password. Your email address will serve as your account identification, as well as a convenient way to receive important information about your order. Your password will ensure that only you have access to your account information. You will have the option to store information, such as your billing and shipping addresses for a faster checkout. You will be able to track orders and review order history. You will be automatically enrolled in the EILEEN FISHER rewards program, which allows you to earn points toward your rewards account every time you make a purchase. Please note: bonus points may take 30 days to appear in your account. Please note that the EILEEN FISHER Rewards program does not apply to orders placed using Guest Checkout. If you do not have an EILEEN FISHER account, under "My Account" at the upper right hand corner you can either select "Login"or "Register" where you will be prompted to create new account. Once you have placed your items for purchase in your shopping bag click the "Proceed to Checkout" button. From here you will be taken to the Checkout page. Select Checkout as a guest and click the Continue button. You will then be prompted to fill in your billing information. The checkout process is built in a tab system. There will be a tab for Billing information and Shipping information. During the checkout process you will be taken to a billing information tab, select a billing address from your address book or enter a new address. Your name and billing address must be entered exactly as they appear on your credit card statement. If entering a new address, in the adderss drop down select "New Address", this will bring up a new address form and once updated you can save to your address book for future use. If you have previously selected a billing address as your default billing address, you will see the address fields already filled out with the saved address information. Clicking on the "Continue" button will open the next checkout tab, Shipping information. Here you can select or add a new shipping address where you would like your order to be sent. Shipping costs are dependent on the shipping method you select. Your total shipping charges will automatically calculate during checkout prior to the completion of your order. If you would like to send an item in your order as a gift, in the Shipping Method tab please select the checkbox "Add a Gift Message" and fill in the form. 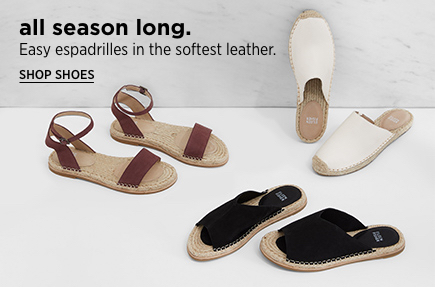 You may also ship your order free to any EILEEN FISHER retail store in the United States. For more information about the EILEEN FISHER Ship to Store service, click here. Note: Only one credit card per order. Your credit card will not be charged until your order ships. Please know, most bank debit cards reserve funds at the time of the original transaction, making it appear as if payment has been collected. To use your EILEEN FISHER Gift Card on your order enter the card and PIN number on the shopping bag page in the fields provided. You will be asked to do this during the checkout process under the payment tab. Once you select add a gift card option during checkout you will be taken to the shopping bag page. Once on the shopping bag page, enter your Gift Card number and the 4-digit PIN number located on the back of your Gift Card. Be sure to click the "Add Gift Card" link to apply your gift card. We suggest you check the balance of your Gift Card before you apply it to the order. The Gift Card dollar amount will be deducted from your order total. You will find the grand total balance due in bold. To pay the balance due, enter your credit card details on the payment tab and click the "Continue" button. You will be able to view the breakdown of your Payment Method on the Order Review page before you click the "Place Order" button. On the Order Review tab, you can review your entire order. You can also access the other checkout tabs including your billing and shipping addresses, shipping method, and payment information, all of which can be edited at this point. You will also see any applied discounts, promotions, and total charges on your order. To complete your purchase, click "Place Order." After you complete the checkout process, the Thank You page provides you with your order number. If you click on the order number you will be taken to My Account where you can see the details of your order. Please note this number for your records. You will need this information for all references to your order. Order Confirmation.This email confirms that we have received your order. It includes your order number. Please keep this email for your records. Special note: When ordering a back order item your credit card is only charged when the item is shipped. When the item is available to ship, you will receive a separate shipment confirmation email. Please keep your order confirmation email for your records. Shipment Confirmation. This email confirms that your order, or part of your order, has shipped.It includes a tracking number, except when shipped by USPS. You may receive multiple emails, depending on the items you selected, or if you ordered multiple items and they were shipped separately. EILEEN FISHER Ship to Store Ready for Pickup Email. Once your order has arrived at your preferred store location and has been processed, you will receive an email inviting you to come to the store to pick up your purchase. You or the person you selected will need to bring identification. Unfortunately, due to space limitations in our retail stores, we can hold packages for only 5 days before returning them to the distribution center and issuing you a refund. For store hours, click here. Return Confirmation and Credit. We will email you once your return has been received and processed. Post Interaction Email. Fifteen days after your order transaction you will receive this email, which invites you back to the website to leave feedback regarding the products you purchased. This information can be helpful to other customers and is welcomed by our design team. Click here for information about how to review our products. Other. There are a few other reasons you would receive an email, including difficulty in processing your order, inability to ship to the address provided, issues with your credit card or cancellation of the order. Should you receive a notice like this and have questions, please contact our Customer Service Team at 1.800.445.1603. They are available Monday through Friday 9am-10pm, Saturday 9am-5pm, EST (excluding US holidays). Registered and Guest Customers, please contact the EILEEN FISHER Customer Service Team during our business hours, Monday through Friday, 9:00am-10:00pm, EST and Saturday, 9:00am-5:00pm, EST (excluding holidays) in order to cancel your order. Our associates will make every effort to assist you with cancellation within the 45 minutes after order submission. 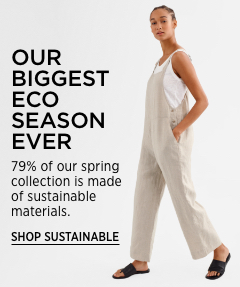 You can shop at eileenfisher.com and pick up your order in your favorite EILEEN FISHER US retail store. This complimentary delivery option offers the convenience of shopping online and the personalized in-store service you rely on. To use this service, select the EILEEN FISHER Ship to Store option on the Shipping tab during checkout and choose a store from the dropdown menu. Most orders for items currently in stock begin the order process as soon as your online purchase is completed. Your in-stock item will be shipped once the item is located in stock, your payment is approved and the receiving addresses are verified. You will not be charged for any item until it is shipped to you. The status of your order is easy to find. You will receive emails (at your email address) keeping you up to date about the status of your order. To view your order status, please visit the My Account section of our site and enter your email address and password under the "returning customers" section. After you have logged in, you may view information about your most recent orders (including tracking information) as well as past orders. For additional assistance please chat with a Customer Service Associate when the Live Chat button is visible, Monday through Saturday, 10am-5pm, EST (excluding US holidays); email experience@eileenfisher.com or call us at 1.800.445.1603. Our Customer Service Team is available Monday through Friday 9am-10pm EST and Saturday from 9am-5pm EST (excluding U.S. holidays). You may ship your order free to any EILEEN FISHER retail store in the United States. For more information about the EILEEN FISHER Ship to Store service, click here. Only one Promotional Code per order will be accepted. Order Confirmation. This email confirms that we have received your order. It includes your order number. Please keep this email for your records. Shipment Confirmation. This email confirms that your order, or part of your order, has shipped. It includes a tracking number, except when shipped by USPS. You may receive multiple emails, depending on the items you selected, or if you ordered multiple items and they were shipped separately. EILEEN FISHER Ship to Store Ready for Pickup Email. Once your order has arrived at your preferred store location and has been processed, you will receive an email inviting you to come to the store to pick up your purchase. You or the person you selected will need to bring identification. Unfortunately, due to space limitations in our retail stores, we can hold packages for only 5 days before returning them to the distribution center and issuing you a refund. For store hours, click here. click here. Post Interaction Email. Fifteen days after your order transaction you will receive this email, which invites you back to the website to leave feedback regarding the products you purchased. This information can be helpful to other customers and is welcomed by our design team. Click Click here for information about how to review our products. Check the details of your orders through the My Account page. This is the easiest and fastest way to get the most current information regarding your eileenfisher.com orders. The Order History page will provide you with detailed information about your current or past orders. After your order is shipped, your tracking number, if available, will be displayed. If you shopped as a guest using our Guest Checkout option your order details will not be available for view in your account history. Details of your Guest Checkout order may be found in your order confirmation email as well as the invoice included in your order. Please contact the EILEEN FISHER Customer Service Team during our business hours, Monday through Friday, 9:00am-10:00pm, EST and Saturday, 9:00am-5:00pm, EST (excluding holidays) in order to cancel your order. 3) Click on your purchased product. Then click the "Write a Review" tab next to it. If you're not absolutely delighted with an EILEEN FISHER purchase, we make it easy for you to return it for free (no additional postage or insurance required). For purchases made with a gift card, refunds will be issued in the form of a new gift card. For merchandise returned 30 days after the invoice date, a credit will be issued in the form of an EILEEN FISHER gift card. Your return should include the completed returns form. If you do not have the packing slip, provide the following information with your return: name, address, email address, phone number and order number, if available. Please use the return label included with your order or click here to create or print your free return label. Please attach the return label to your package and drop it off anywhere the US mail picks up. For your records, please record the USPS tracking number found on your shipping label. This number will allow you to track the progress of your return within the USPS network. If you do not wish to use the free return label, please be sure to ship the package with a carrier that can provide tracking and insurance. EILEEN FISHER cannot replace packages lost during return shipment if proof of tracking is not available. Please note our Renew, Company Stores, Lab Store and East Village Boutique are unable to accept retail or online returns or exchanges. If your merchandise was damaged in transit, save the original packaging and contact our Customer Service Department before returning. The Customer Service Team may be reached by telephone, at 1.800.445.1603 Monday through Friday 9:00am-10:00pm, Saturday 9:00am-5:00pm, EST (excluding US holidays), via email at experience@eileenfisher.com, or through Live Chat by clicking the “Live Chat” bubble when visible. You may also return items to EILEEN FISHER Retail Stores located in the United States. Please visit our Store Locator page or call 1.866.512.5197. Refunds will be issued in the same tender as the purchase. Please note, at this time, we are unable to accept online returns in EILEEN FISHER Retail stores outside the United States. For information on International Returns please visit our International Order Information page. Within 30 days with receipt, we offer exchange or refund for purchase price for items in perfect condition. Without receipt, an exchange or store credit will be issued at current price. No cash refunds. Cash purchases refunded as check. All other refunds will be issued in the same tender as the purchase. Gift receipt returns are for exchange or store credit only. One time price adjustments on full price items w/in 14 days of purchase. Workshop fees, Renew, yarn, fabric, one-of-a-kind Artist in Residence, and hemmed pieces are final sale. US stores are unable to return or exchange goods purchased outside the US. UK and Canada stores are unable to return or exchange goods purchased outside of their country or the web. Reward points will not be accrued for donations to EFLI. We will make every effort to accommodate an exchange request. However, our ability to process is based on product availability, which is not always guaranteed. An exchange is processed like a return and reissued as a new order. You’ll receive a credit for the items you’re sending back and a separate charge for the exchange order placed. In order to process your new order, please contact our Customer Service Team by calling 1.800.445.1603 Monday through Friday 9:00am-10:00pm, Saturday 9:00am-5:00pm, EST (excluding US holidays). We are pleased to offer our customers a one-time price adjustment on the first markdown of full-price merchandise within 14 days of the original order dates. The EILEEN FISHER Rewards program is a special benefit that rewards customers for shopping in EILEEN FISHER retail stores or online. It is Eileen's way of thanking customers for their loyalty. As a member of the EILEEN FISHER Rewards program, you receive one point for every dollar you spend (excluding sales tax). When you reach 2,000 points, a $100 gift card will be mailed to your home. Point accrual is ongoing, there is no cut-off date! After you've earned your $100 gift card, you immediately begin to accrue points towards your next one. The Rewards program is valid at EILEEN FISHER retail stores or online at eileenfisher.com only. The Rewards program is not available in Outlet, Company Stores, EF Boutiques or the LAB Store. Purchases made using our Guest Checkout option will not be applied to your rewards points accrual. You can sign up for the Rewards Program in EILEEN FISHER retail stores or online by simply creating an account. Customers must provide a valid phone number and either a United States or Canadian mailing address to join. The EILEEN FISHER Rewards Program is not available on international orders at this time. Our Personal Shopping Team provides personalized customer service via telephone and email. 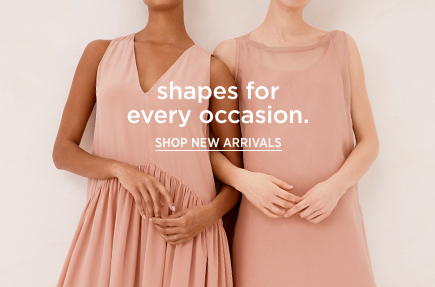 We would be pleased to assist you in finding EILEEN FISHER items to meet all of your wardrobe needs, best suited for your lifestyle and upcoming events. We can help to locate styles online, in EILEEN FISHER retail stores and specialty and department stores carrying EILEEN FISHER merchandise. We can also assist in making fit and size recommendations, providing care instructions, and answering any questions you have about your EILEEN FISHER purchase. Our Personal Shopping Team may be reached at 1.866.512.5197 or experience@eileenfisher.com, Monday through Friday, 9:00am-10:00pm, Saturday, 9:00am-5:00pm, EST (excluding US holidays). To log in to your Account, click on the "My Account" dropdown and select "Log In" link found in the upper right corner of the website. Enter your email address and password on the left side, and you will be taken to the My Account page. To sign out of your account click on the "Sign Out" link in the My Account dropdown. If you are a new customer and would like to create an account, click here. Click here to be directed to our "Log In" page and select the "Forgot Your Password" link which will take you to the reset password page, where you can simply enter your email address in the space provided and click the "Submit" button. You will receive an email with a link to reset your password. Creating an account on eileennfisher.com is easy. Simply, click the "My Account" dropdown and select "Register" link in the upper right corner of the website, or when you place an order, you will be prompted to create an account with your name, email address and password. An account offers you a safe, easy and fast way to order. It also serves as a way to track your order and receive emails about your order. By creating an account, you can review and manage all your eileenfisher.com information. You can access your shipping and billing addresses, order history, settings, and more. Emails and Exclusive Offers. By creating an account, you automatically receive email updates on special promotions, sales alerts, new product announcements, gift ideas and more! Order History. Track information regarding your order status and shipping information. Faster Checkout. Save your billing & shipping addresses and designate default billing and shipping addresses for an easier checkout. Gift Card Balance. Check the balances on your Gift Cards at any time. EILEEN FISHER Rewards Program. Earn a point for every dollar you spend (excluding sales tax)! When you reach 2,000 points, a $100 gift card will be mailed to your home. For more information about our Rewards Program, click here. It is easy to change your account information online, at any time. Simply click "My Account" dropdown and select log in to access your account and edit your personal information. Go to our Gift Card link at the lower right corner of our website. Once on the gift card page select the amount and the quantity and click "Add to Bag." Gift Cards keep track of your balance and do not expire. All Gift Cards arrive in a gift box. Gift Cards ship standard USPS. EILEEN FISHER Gift Cards are available to the US customer only. You can check your Gift Card balance at any time in My Account and in your Shopping Bag. To redeem a Gift Card with your order, you must do so in your “Shopping Bag” BEFORE you click the “Proceed to Checkout” button. Note: You will not have this option after you click the “Proceed to Checkout” button. If you have missed redeeming your Gift Card before Checkout, you will need to return to your “Shopping Bag” to do so. You will be able to view the breakdown of your Payment Method on the Order Review page before you click the "Submit Order" button. You will also receive this information in your Order Confirmation email. EILEEN FISHER Gift Cards are only available to US customers. EILEEN FISHER Gift Cards may only be redeemed at EILEEN FISHER retail stores or eileenfisher.com in the US. If you would like to send an item in your order as a gift, please include a gift message. You will find the "Add a Gift Message" button on the Shipping Method tab during checkout. Once selected fill out the form and be sure to select "Continue" to save your Gift message and move to the Payment Information tab. If you have additional questions about purchasing an item as a gift please contact our Customer Service Team at 1.800.445.1603. Our Customer Service Team is available Monday through Friday, 9:00am-10:00pm, Saturday, 9:00am-5:00pm, EST (excluding US holidays). You can chat with a Customer Service Associate by clicking the "Live Chat" bubble when visible Monday through Saturday, 10:00am-5:00pm, EST (excluding US holidays). If you have any questions about these Terms, please contact us by email at experience@eileenfisher.com or call us at (800) 445-1603. 1.1 Eligibility To use the Site you must be, and represent and warrant that you are, of legal age (18 years of age or older, or, if you have parental consent, 13 years of age or older) and competence. By using the Site on behalf of any third party, you are representing to us that you are an authorized representative of that third party and that your use of the Site constitutes that third party’s acceptance of these Terms. In addition, if you have been previously prohibited from accessing the Site or the website of any of our affiliates, you are not permitted to access the Site. 1.2	License to Use the Site. Subject to your compliance with these Terms, we grant you a limited, non-exclusive, non-sublicensable, non-transferable, and revocable right to access the Site and use the Services for your personal, non-commercial use, and as we otherwise intend. Eileen Fisher reserves the right to monitor the Services for the purpose of determining that your usage complies with these Terms. 1.3	Prohibited Conduct. You may not use the Site or Services other than as expressly permitted by Section 1.2 above. Without limitation, you will not, directly or indirectly: (a) copy, reproduce, modify, distribute, display, create derivative works of or transmit any content on the Site; (b) use the Services or Site commercially; (c) reverse engineer, decompile, tamper with or disassemble the technology used to provide the Services or Site (except as and only to the extent any foregoing restriction is prohibited by a non-waivable provision of applicable law); (d) interfere with or damage the Services, Site, or any underlying technology; (e) impersonate or misrepresent your identity or affiliation; (f) attempt to obtain unauthorized access to the Services or Site; (g) collect information about users of the Services, the Site, or the Service; (h) violate, misappropriate or infringe a third party’s intellectual property or other right, or any social media platform terms; (i) violate any law, rule, or regulation, or (j) interfere with any third party’s ability to use or enjoy, or our ability to provide, the Services or Site. 2.1 Account Registration. If you create an account, you must provide us with complete and accurate information. You must promptly update such information to keep it complete and accurate. You are entirely responsible for maintaining the confidentiality of your password and account. You are entirely responsible for any and all activities that occur under your account. You may not use anyone else’s account at any time. We may remove or reclaim your username if we believe it is appropriate (such as in response to a trademark claim). 2.2 Security of Your Account. You agree to notify Eileen Fisher immediately of any unauthorized use of your account or any other breach of security. We will not be liable for any loss, damages, liability, expenses or attorneys’ fees that you may incur as a result of someone else using your password or account, either with or without your knowledge, to the fullest extent permitted by applicable law. You will be liable for losses, damages, liability, expenses and attorneys’ fees incurred by Eileen Fisher or a third party due to someone else using your account. 2.3 No Obligation to Retain a Record of Your Account. Eileen Fisher has no obligation to retain a record of your account or any data or information that you may have stored for your convenience by means of your account or the Services. The following terms apply to your purchase of the products offered on the Site ("Products”). 3.1	Product Descriptions. We try to make the Site thorough, accurate, and helpful to our customers. Nonetheless, there may be times when certain information contained on the Site may be incorrect, incomplete, inaccurate, or appear inaccurate because of the browser, hardware, or other technology that you use. We apologize in advance for any such errors that may result in an incorrect price, inaccurate description, item unavailability or otherwise affect your order. We reserve the right to correct errors (whether by changing information on the Site or by informing you of the error and giving you an opportunity to cancel your order) or to update Product information at any time without notice. 3.2	Availability and Pricing. Eileen Fisher reserves the right to change the prices and available Products. Quantities of some Products may be limited and stock cannot always be guaranteed. All prices on our U.S. website are quoted in U.S. dollars. We may occasionally make errors in the stated prices on this Site. If a product's correct price is higher than the listed price, we will, in our discretion, either confirm the correct price with you or cancel your order and notify you of such cancellation. 3.3	Purchasing Products. The display of Products on the Site invites you to make us an offer to buy the Products. Your order is an offer to buy the Products, which we accept only by shipping the Products ordered. Any confirmation that you receive after placing an order does not constitute an acceptance of your offer, and is subject to correction before shipment in the event of inaccuracies, errors, Product unavailability, or for any other reason. 3.4	Orders. We have the right to refuse or limit any orders and limit quantities. We will not be liable if a Product is unavailable or if shipment is delayed. We reserve the right to provide substantially similar products to fulfill your order. 3.5	Returns and Exchanges. If you wish to return or exchange a Product (whether Products are damaged, incomplete, or otherwise), you may do so only in accordance with our Return Policy. 3.6	Payment. You authorize us (and any payment processor) to charge your payment card for all purchases you make. We accept the forms of payment stated on the Site and, for credit card payments, charge your credit card when your order is processed. The bank issuing your credit card may control when to release funds in the case of an order cancellation or refund. We reserve the right to use the payment information you provide us in connection with this payment to provide better service to you should you wish to use our service again in the future and to protect us from fraud and other losses. Completion of a payment transaction is contingent upon: (a) you providing complete personal, account, transaction and any other information needed, (b) authorization of the payment by your credit or debit card company, and (c) acceptance of your payment. You may cancel your payment prior to your final submission of it to us. We may, in our sole discretion, cancel your payment at any time by providing notice to you through your contact information or by a notice when you attempt to make a payment. We may cancel a payment or prevent you from initiating future payments for any reason, including, without limitation, the following: (i) if you attempt to use the Services in breach of any applicable law or regulation, including the card network rules or regulations; (ii) if you use the Services in breach of these Terms; (iii) if we suspect fraudulent, unlawful or improper activity regarding a payment; (iv) if we detect, in our sole discretion, that your payments have excessive disputes, high reversal rates or present a relatively high risk of losses; or (v) failure to cooperate in an investigation or provide additional information when requested. 3.7	Transfer of Title and Risk of Loss/Damage. Title to and the risk of loss/damage of all Products passes from us to you at the time we deliver the Products to the common carrier for shipment. By purchasing Products on the Site for shipment, you are asking us to engage a common carrier to deliver your order. In doing so, we are providing a service to and acting on behalf of you. We reserve the right to choose any and all procedures, packaging and the common carrier of sold Products. We may not be able to have your order shipped to a post office box, to certain addresses or on certain days. We reserve the right to ship your order in multiple boxes or shipments. 3.8	Taxes. Stated prices do not include any customs duties, sales, use, value-added, excise, federal, state, local or other taxes. You are solely responsible for the payment of such taxes related to your purchase. We have the right to charge you for any taxes that we believe we are required to pay or collect related to your purchase. 3.9	Promo Codes. Eileen Fisher may, from time to time in its sole discretion, offer certain promotional codes for discounts. Promotional codes are non-transferable and are not redeemable for cash, credit, or toward previous purchases. There is no cash alternative. 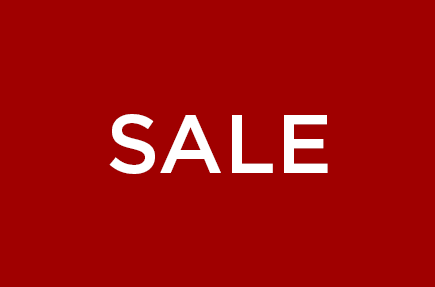 Furthermore, promotional codes cannot be used in conjunction with any other offer or promotional discount, and must be redeemed by the date published, if provided. Lost promotional codes cannot be replaced. Limit one promotional code per customer. Promotional codes are void where prohibited. Any promotional program may be terminated or modified by Eileen Fisher at any time in its sole discretion. 4.1	Intellectual Property Rights. All content on the Site, or otherwise made available via the Site, including the text, notes, graphics, photos, sounds, music, videos, interactivities and the like ("Content”), the trademarks, service marks and logos contained therein ("Marks”), the design of the Site and/or Services ("Site Design”), and all software and other technology used to provide the Site and/or Services ("Technology”), are owned by or licensed to Eileen Fisher and/or its affiliates. Content is provided to you "as is” for your information and personal use only and may not be used, reproduced, distributed, transmitted, broadcast, displayed, sold, licensed, or otherwise exploited for any other purposes whatsoever. We reserve all rights not expressly granted in and to the Site, Content, Marks, Site Design and Technology. Using the Site and/or Services does not give you any ownership of or right in or to any Content, Marks, Site Design or Technology. 4.2	Third-Party Content. The Site may contain information and content provided by third parties. We have no obligation to monitor, we do not endorse, and we are not liable for any third-party content. In addition, the Site may contain links to third-party websites. Eileen Fisher is not responsible for the content on any linked site or any link contained in a linked site. We do not endorse or accept any responsibility for the content on such third-party sites. 5.1	License to Eileen Fisher. By sharing, submitting or uploading any User Content, you grant Eileeen Fisher a worldwide, perpetual, irrevocable, non-exclusive, royalty-free, sublicensable and transferable license to use, copy, distribute, display, publish, perform, sell, transmit, adapt, translate, modify, reverse-engineer, disassemble and create derivative works from your User Content in any manner existing now or created in the future. Subject to the license above, you retain ownership of User Content. 5.2	Waiver of Moral Rights. You irrevocably waive and agree not to assert any rights, including any "moral rights,” that you have to prevent us from exploiting the rights granted in Section 5.1. 5.3	Right to Name and Likeness. You also grant us the right to use and display the name, photograph and any other biographical information that you submit with any User Content in connection with such User Content. 5.4	Your Responsibility for User Content. You acknowledge and agree that you are solely responsible for all the User Content that you make available through the Site. Accordingly, you represent and warrant that: (1) you have all rights, licenses, consents, and releases necessary to grant Eileen Fisher the required rights to disseminate any User Content and (2) neither your User Content nor your posting, uploading, publication, submission or transmittal of this User Content or Eileen Fisher’s use of your uploaded User Content (or any portion thereof) on, through or by the means of the Site, will infringe, misappropriate or violate a third party's patent, copyright, trademark, trade secret, moral rights or other intellectual property rights or rights of publicity or privacy or result in the violation of any applicable law or regulation. 5.5	No Obligations Regarding User Content. We will not have any obligation to hold any User Content in confidence or compensate you or anyone else for its use. We have the right to remove or edit any User Content for any reason or no reason at all. 6.1	Infringement Notification. Eileen Fisher respects the rights of others and we expect users of our Site and Services to do the same. These Terms prohibit the infringement of the copyrights of others, and it is also our policy that we may remove, suspend, terminate access of, or take other appropriate action against repeat offenders. We may also remove content that in our sole discretion appears to infringe the intellectual property rights of others. •	Identify the copyrighted work claimed to have been infringed. If multiple copyrighted works are covered by a single notification, provide a representative list of such works. •	Identify the material that is claimed to be infringing or to be the subject of infringing activity. Include information reasonably sufficient to permit Eileen Fisher to locate the material. Please provide a URL and screenshots for each item. Include the specific asset(s) or page(s) that you claim to be infringing. Say "entire work” ONLY if all assets/pages in a collection/document are infringing. •	Include details of your claim to the material, or your relationship to the material’s copyright holder. •	Provide your full name, address, and telephone number should we need to clarify your claim. •	Provide a working email address where we can contact you to confirm your claim. •	If true, include the following statement: "I swear, under penalty of perjury, that the information in the notification is accurate and that I am the copyright owner or am authorized to act on behalf of the copyright owner to make this complaint." •	Sign the document, physically or electronically. 7.1	NO WARRANTIES. THE SITE, SERVICES AND PRODUCTS ARE PROVIDED “AS AVAILABLE” AND “AS IS” TO THE FULLEST EXTENT PERMITTED BY LAW, WITH NO REPRESENTATIONS OR WARRANTIES OF ANY KIND. EILEEN FISHER DISCLAIMS TO THE FULLEST EXTENT PERMITTED BY LAW ALL WARRANTIES, EXPRESS, IMPLIED AND STATUTORY, INCLUDING ALL WARRANTIES OF MERCHANTABILITY, FITNESS FOR A PARTICULAR PURPOSE, TITLE AND NON-INFRINGEMENT. 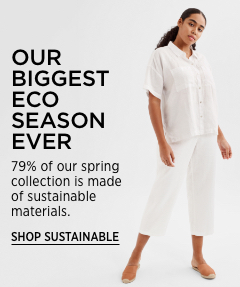 EILEEN FISHER DOES NOT WARRANT THAT ANY PRODUCTS WILL BE IN STOCK, SAFE, DEFECT-FREE, CONFORM WITH WRITTEN OR ORAL SPECIFICATIONS, GUARANTEES, REPRESENTATIONS, WARRANTIES OR PROMISES, OR THAT PRODUCTS WILL NOT BE LOST OR DAMAGED IN SHIPMENT. THIS PROVISION IS NOT INTENDED TO DISCLAIM LIABILITY THAT WE MAY NOT DISCLAIM UNDER APPLICABLE LAW. 7.2	USE OF SITE IS AT YOUR OWN RISK. EILEEN FISHER DOES NOT REPRESENT OR WARRANT THAT THE SITE, SERVICES OR EMAILS SENT TO YOU WILL BE UNINTERRUPTED, ERROR-FREE, SECURE, FREE OF VIRUSES OR OTHER HARMFUL CODE, OR THAT ALL INFORMATION WILL BE ACCURATE OR COMPLETE. YOU AGREE THAT YOUR USE OF THE SITE SHALL BE AT YOUR SOLE RISK AND THAT YOU WILL BE SOLELY RESPONSIBLE FOR ANY DAMAGE TO YOUR HARDWARE OR LOSS OF DATA THAT RESULTS FROM THE DOWNLOAD OF MATERIAL OR DATA. EILEEN FISHER MAKES NO REPRESENTATION, WARRANTY, GUARANTEE OR PROMISE THAT THE PRODUCTS, SITE OR SERVICES WILL MEET YOUR REQUIREMENTS OR ACHIEVE ANY PARTICULAR RESULTS. EILEEN FISHER WILL NOT BE RESPONSIBLE FOR ANY THIRD-PARTY CONTENT OR SERVICES ON THE SITE, ANY LINKS TO THIRD-PARTY WEBSITES OR ANY THIRD-PARTY WEBSITES. PACKAGING, LABELS AND INSTRUCTIONS MAY CONTAIN MANUFACTURER DISCLAIMERS AND LIMITATIONS OF LIABILITY THAT APPLY TO THE PRODUCTS YOU PURCHASE. EILEEN FISHER MAKES ALL DISCLAIMERS IN THIS PARAGRAPH ON BEHALF OF ITSELF AND ITS LICENSORS AND SUPPLIERS. 7.3	NO RESPONSIBILITY FOR THIRD-PARTY MATERIALS. EILEEN FISHER DOES NOT WARRANT, ENDORSE, GUARANTEE OR ASSUME RESPONSIBILITY FOR ANY PRODUCT OR SERVICE ADVERTISED OR OFFERED BY A THIRD PARTY THROUGH THE SITE OR ANY WEBSITE FEATURED OR LINKED TO THROUGH THE SITE, AND EILEEN FISHER WILL NOT BE A PARTY TO OR IN ANY WAY BE RESPONSIBLE FOR MONITORING ANY TRANSACTION BETWEEN YOU AND THIRD-PARTY PROVIDERS OF PRODUCTS OR SERVICES. EILEEN FISHER WILL NOT BE LIABLE FOR THE OFFENSIVE OR ILLEGAL CONDUCT OF ANY THIRD PARTY. YOU VOLUNTARILY ASSUME THE RISK OF HARM OR DAMAGE FROM THE FOREGOING. THE FOREGOING LIMITATIONS WILL APPLY EVEN IF A REMEDY FAILS OF ITS ESSENTIAL PURPOSE AND TO THE FULLEST EXTENT PERMITTED BY LAW. 7.4	NO CONSEQUENTIAL DAMAGES. IN NO EVENT, TO THE FULLEST EXTENT PERMITTED BY APPLICABLE LAW, WILL EILEEN FISHER, ITS AFFILIATES OR THEIR RESPECTIVE OFFICERS, DIRECTORS, EMPLOYEES OR REPRESENTATIVES (COLLECTIVELY “EILEEN FISHER” FOR PURPOSES OF THIS SECTION) BE LIABLE FOR ANY INDIRECT, INCIDENTAL, SPECIAL, CONSEQUENTIAL OR PUNITIVE DAMAGES RESULTING FROM THE PERFORMANCE, USE OF OR THE INABILITY TO USE THE SITE, SERVICES OR PRODUCTS, EVEN IF EILEEN FISHER HAS BEEN ADVISED OF THE POSSIBILITY OF SUCH DAMAGES, WHETHER IN AN ACTION IN CONTRACT, TORT (INCLUDING NEGLIGENCE), STRICT LIABILITY, VIOLATION OF STATUTE OR OTHERWISE. EILEEN FISHER WILL NOT BE LIABLE FOR THE COST OF REPLACEMENT PRODUCTS, LOSS OF REVENUE, OR LOSS OF GOOD WILL. 7.5	OUR LIABILITY IS LIMITED. IN ANY EVENT, TO THE FULLEST EXTENT PERMITTED BY APPLICABLE LAW, OUR AGGREGATE LIABILITY WILL NOT EXCEED THE AMOUNT PAID FOR THE PRODUCT(S) TO WHICH THE CLAIM RELATES OR, IF THE CLAIM DOES NOT RELATE TO A PRODUCT, $100. THIS PROVISION IS NOT INTENDED TO EXCLUDE LIABILITY THAT EILEEN FISHER MAY NOT EXCLUDE UNDER APPLICABLE LAW. 7.6	NOTICE TO NEW JERSEY RESIDENTS. Your rights are protected under the Truth-in-Consumer Contract, Warranty and Notice Act and New Jersey law generally. The following provisions in these Terms do not apply to you and are not intended to vary, diminish or alter your rights under New Jersey law: specifically, nothing in these Terms limits, varies, diminishes, affects, or otherwise voids or alters your rights under New Jersey law as they relate to the following: limitations of liability or exculpation (such as limitations on indirect, incidental, special, exemplary, consequential or similar damages); dispute resolution; indemnification; venue or jurisdiction; statutes of limitation or repose periods for bringing claims; plain language requirements; and warranties. Your rights regarding these specific provisions will be governed by New Jersey law. In the event of any conflict between these Terms and New Jersey law, New Jersey law shall govern. You agree to defend, indemnify and hold harmless Eileen Fisher, its affiliates and their respective directors, officers, employees and agents (the “Indemnified Parties”) from and against any and all claims, damages, losses, liabilities and expenses (including attorneys’ fees) incurred in connection with any third-party claim brought or asserted against any of the Indemnified Parties: (a) alleging facts or circumstances that would, if true, constitute a violation of any provision of these Terms by you or (b) arising from or related to our use of your User Content in the context of the Services. You may not settle any such claim without our express written consent. This defense and indemnification obligation is intended to extend to the fullest extent permitted by applicable law and will survive these Terms and your use of the Site. 9.1	Term. These Terms are effective unless and until terminated by you or us. We may, in our sole and absolute discretion and without any liability, modify, suspend or discontinue any aspect of the Site, temporarily or permanently, at any time and without prior notice. 9.2	Modification and Termination of Site and Services. We may modify or terminate the Site or the Services, your access to the Services, in part or as a whole, at any time, for any or no reason, and without notice or liability to you. 9.3	Suspension or Termination. We may deny you access to all or part of the Site at any time for any reason (including if you violate these Terms, as determined in our sole and absolute discretion) or no reason at all. If we terminate for no reason your right to access the Site, we will fulfill our obligations to you related to any orders outstanding at the time of termination. 9.4	Effect of Termination. If you terminate your account, you will remain liable under these Terms for any purchase made prior to termination. If we terminate your right to access the Site, these Terms will terminate and all rights you have to access the Site will immediately terminate. The following Sections will survive termination: 1.3, 1.4, 2, 3.4, 3.5, 4 through 8, 9.4, 10, and 11. You and Eileen Fisher agree that any dispute that has arisen or may arise between us relating in any way to your use of or access to the Services or Site, the Products, any breach, enforcement, or termination of these Terms, or otherwise relating to Eileen Fisher in any way (collectively, “Covered Matters”) will be resolved in accordance with the provisions set forth in this Section 10. 10.1	Informal Resolution. If you have any dispute with us, you agree that before taking any formal action, you will contact us at legal@eileenfisher.com, provide a brief, written description of the dispute and your contact information (including your username, if your dispute relates to an account) and allow sixty (60) days to pass, during which we will attempt to reach an amicable resolution of any issue. 10.2	Applicable Law. United States federal law, and (to the extent not inconsistent with or pre-empted by federal law) the laws of the State of New York, without regard to conflict of laws principles, will govern all Covered Matters. 10.3	Arbitration. These Terms and each of its parts evidence a transaction involving interstate commerce, and the Federal Arbitration Act applies in all cases and governs the interpretation and enforcement of the arbitration rules and arbitration proceedings. Any Covered Matter must be asserted individually in binding arbitration administered by the American Arbitration Association (“AAA”) in accordance with its Commercial Arbitration Terms and the AAA Supplementary Procedures for Consumer-Related Disputes (including, without limitation, utilizing desk, phone or video conference proceedings where appropriate and permitted to mitigate costs of travel). The arbitrator shall not conduct any form of class or collective arbitration nor join or consolidate claims by or for individuals. The arbitrator, and not any federal, state, or local court or agency, shall have exclusive authority to resolve any dispute relating to the interpretation, applicability, enforceability or formation of these Terms, including, any claim that all or any part of these Terms is void or voidable or a particular claim is subject to arbitration. Judgment on the award rendered by the arbitrator may be entered in any court of competent jurisdiction. 10.4	Award. For matters where the relief sought is over $5,000, the arbitrator’s decision will include the essential findings and conclusions upon which the arbitrator based the award. The arbitrator will decide the substance of all claims in accordance with applicable law, including recognized principles of equity, and will honor all claims of privilege recognized by law. The arbitrator’s award of damages must be consistent with the terms of the “Limitation of Liability” section as to the types and the amounts of damages for which a party may be held liable. The arbitrator shall not be bound by rulings in prior arbitrations involving different users, but is bound by rulings in prior arbitrations involving the same Eileen Fisher user to the extent required by applicable law. The arbitrator’s award shall be final and binding, and judgment on the award rendered by the arbitrator may be entered in any court having jurisdiction thereof. THE ARBITRATOR MAY AWARD RELIEF (INCLUDING MONETARY, INJUNCTIVE, AND DECLARATORY RELIEF) ONLY IN FAVOR OF THE INDIVIDUAL PARTY SEEKING RELIEF AND ONLY TO THE EXTENT NECESSARY TO PROVIDE RELIEF NECESSITATED BY THAT PARTY’S INDIVIDUAL CLAIM(S). ANY RELIEF AWARDED CANNOT AFFECT OTHER USERS. (a)	First, if either party reasonably believes that the other party has in any manner violated or threatened to infringe the intellectual property rights of the other party, the party whose rights have been violated may seek injunctive or other appropriate interim relief in any court of competent jurisdiction. (b)	Second, any claim of $500 or less may, at the option of the claiming party, be resolved in small claims court in New York County, New York, if the claim and the parties are within the jurisdiction of the small claims court and so long as the matter remains in such court and advances only on an individual (non-class, non-representative) basis. 10.6	Costs of Arbitration. Payment of all filing, administration, and arbitrator fees will be governed by the AAA’s rules, unless otherwise stated in this agreement to arbitrate. If the value of the relief sought is $5,000 or less, at your request, Eileen Fisher will reimburse you for all filing, administration, and arbitrator fees associated with the arbitration following the earlier of the arbitrator’s decision or settlement. In the event the arbitrator determines the claim(s) you assert in the arbitration to be frivolous or without merit, Eileen Fisher is relieved of its obligation to reimburse you for any fees associated with the arbitration. 10.7	Future Amendments to the Agreement to Arbitrate. Notwithstanding any provision in the Terms to the contrary, you and we agree that if we make any amendment to this agreement to arbitrate in the future, that amendment shall not apply to any claim that was filed in a legal proceeding against Eileen Fisher prior to the effective date of the amendment. The amendment shall apply to all other disputes or claims governed by the agreement to arbitrate that have arisen or may arise between you and Eileen Fisher. If you do not agree to these amended terms, you may close your account within thirty (30) days of the posting or notification and you will not be bound by the amended terms. 10.8	Judicial Forum for Legal Disputes. Unless you and we agree otherwise, in the event that the agreement to arbitrate above is found not to apply to you or to a particular claim or dispute, either as a result of your decision to opt out of the agreement to arbitrate, as a result of a decision by the arbitrator or a court order or because you have chosen to file an eligible lawsuit in small claims court, you agree that any claim or dispute that has arisen or may arise between you and Eileen Fisher must be resolved exclusively by a state, federal, or small claims court located in New York, New York. You and Eileen Fisher agree to submit to the exclusive personal jurisdiction of the courts located within New York County, New York for the purpose of litigating all such claims or disputes. 10.9	Opt-Out. IF YOU ARE A NEW EILEEN FISHER USER, YOU CAN CHOOSE TO REJECT THE AGREEMENT TO ARBITRATE PROVISION ("OPT-OUT") BY EMAILING US AN OPT-OUT NOTICE TO ARBITRATIONOPTOUT@EILEENFISHER.COM ("OPT-OUT NOTICE") OR VIA US MAIL TO: [EILEEN FISHER, INC., 2 BRIDGE STREET, IRVINGTON, NY 10533]. THE OPT-OUT NOTICE MUST BE RECEIVED NO LATER THAN THIRTY (30) DAYS AFTER THE DATE YOU ACCEPT THESE TERMS FOR THE FIRST TIME. IF YOU ARE NOT A NEW EILEEN FISHER USER, YOU HAVE UNTIL THIRTY (30) DAYS AFTER THE POSTING OF THE NEW TERMS TO SUBMIT AN ARBITRATION OPT-OUT NOTICE. 10.10 Procedure. In order to opt-out, you must email your name, address (including street address, city, state, and zip code), and email address(es) associated with your Account(s) to which the opt-out applies and an unaltered digital image of a valid driver’s license which matches the name on your account to: arbitrationoptout@eileenfisher.com. This procedure is the only way you can opt out of the agreement to arbitrate. If you opt out of the agreement to arbitrate, all other parts of these Terms and this Disputes Section 10 will continue to apply to you. Opting out of this agreement to arbitrate has no effect on any previous, other, or future arbitration agreements that you may have with us. 10.11 WAIVER. BY AGREEING TO THESE TERMS, YOU HEREBY IRREVOCABLY WAIVE ANY RIGHT YOU MAY HAVE TO A COURT TRIAL (OTHER THAN SMALL CLAIMS COURT AS PROVIDED ABOVE) OR TO SERVE AS A REPRESENTATIVE, AS A PRIVATE ATTORNEY GENERAL, OR IN ANY OTHER REPRESENTATIVE CAPACITY, OR TO PARTICIPATE AS A MEMBER OF A CLASS OF CLAIMANTS, IN ANY LAWSUIT, ARBITRATION OR OTHER PROCEEDING FILED AGAINST US AND/OR RELATED THIRD PARTIES. 10.12 STATUTE OF LIMITATIONS. REGARDLESS OF ANY STATUTE OR LAW TO THE CONTRARY, ANY CLAIM OR CAUSE OF ACTION ARISING OUT OF OR RELATED TO USE OF THE SITE, SERVICES, OR THE TERMS MUST BE FILED WITHIN ONE (1) YEAR AFTER SUCH CLAIM OR CAUSE OF ACTION ARISES OR IT WILL BE FOREVER BARRED. THIS PROVISION DOES NOT APPLY TO RESIDENTS OF THE STATE OF NEW JERSEY. 11.1	Force Majeure. Under no circumstances shall Eileen Fisher or its licensor or supplier be held liable for any delay or failure in performance resulting directly or indirectly from an event beyond its reasonable control. 11.2	No Waiver; Severability. No waiver of any term of these Terms will be binding unless in writing, no waiver of any term of these Terms will be deemed a further or continuing waiver of such term or any other term, and the failure of Eileen Fisher to exercise or enforce any right or remedy in these Terms does not waive that right or remedy. The provisions of these Terms are intended to extend only to the fullest extent permitted by applicable law. If for any reason an arbitrator or a court of competent jurisdiction finds any provision of these Terms to be invalid, the parties agree that the court should endeavor to give effect, to the maximum extent permitted by law, to the parties' intentions as reflected in the provision, and the other provisions of these Terms will remain in full force and effect. 11.3	Miscellaneous. These Terms (and all policies, terms and conditions referenced herein) constitute the entire agreement between you and Eileen Fisher and govern your use of the Site, Services and products provided by Eileen Fisher, and supersede any prior agreements between you and Eileen Fisher on the subject matters. You also may be subject to additional terms that may apply when you use certain Eileen Fisher services or third-party content, links or websites. These Terms, and any rights or licenses granted hereunder, may not be assigned or delegated by you. These Terms, and any rights or licenses granted hereunder, may be assigned or delegated by Eileen Fisher without restriction. These Terms bind and inure to the benefit of each party and the party’s successors and permitted assigns. These Terms may not be modified by an oral statement by a representative of Eileen Fisher. A party’s failure or delay in exercising any right, power or privilege under these Terms will not waive its rights to exercise such right, power, or privilege in the future, nor will any single or partial exercise of any right, power or privilege preclude any other or further exercise of such right, power, or privilege, or the exercise of any other right, power, or privilege under these Terms. No agency, partnership, joint venture or employee-employer relationship is intended or created by these Terms. You agree to comply with all applicable laws in your use of the Site and Services. You agree that any agreements made by and between you and us in electronic form are as legally binding as if made in physical written form. These Terms will not be construed against the drafter. "Include(s)" or "including" means, respectively, "include(s), without limitation," or "including, without limitation,", unless expressly stated otherwise. If you are using the Site or Services for or on behalf of the U.S. or any other government, your license rights do not exceed those granted to non-government consumers. 11.4	Use Outside the United States of America. The Site is controlled and offered by Eileen Fisher from the United States of America. Eileen Fisher makes no representations that the Site is appropriate for use in other locations. Those who access or use the Site from other locations do so at their own risk and are responsible for compliance with local law. You consent to the processing in the United States of America of information you provide to us. We collect, store, and use information that you provide directly to us and information we acquire in other ways, as discussed below. Some of this information is personal information, meaning it relates to an identified or identifiable natural person. We acquire information from you when you (a) provide information via any of the EILEEN FISHER Websites, (b) interact with any EILEEN FISHER checkouts, (c) participate in any EILEEN FISHER questionnaires, panels, contests, or sweepstakes, (d) communicate or interact with EILEEN FISHER customer service or (e) engage in any other electronic with EILEEN FISHER. Through these channels, you might provide us with information about you, information about the recipient of any merchandise you are ordering and/or having shipped, including, in either case, names, email addresses, postal addresses, phone numbers, genders, birthdays, marketing preferences, personal interests, credit card information, and other financial information. We also acquire other information about you when you interact with the EILEEN FISHER Websites and certain of its features, including accounts, checkouts, questionnaires, contests, sweepstakes and social media features. We, or our third party partners, may collect information through log files. This may include city and country location, IP address, browser type, device information, a unique identifier from your browser or device, and details of your usage such as your preferences (such as social media “pins”, “likes” and “dislikes”). We may also acquire information about you from third parties and publicly available information. Using this information helps us fulfill your orders, keep records, and provide products and services that may be of interest to you. Cookies: A cookie is a simple file that is stored on your device by a website’s server. When you interact with EILEEN FISHER cookies and other similar technologies may be used for storing information, and accessing information stored on your device. These cookies and other similar technologies may include first party cookies (i.e., those placed by the website being visited) and third party cookies (i.e., those placed by a website other than the one being visited), Local Shared Objects (commonly referred to as “LSOs,” "Flash Cookies", or “HTML 5 Cookies”) and tracking pixels (including clear gifs). Cookies can either expire at the end of a session ("Session Cookies") or be persistent and last through multiple sessions ("Persistent Cookies"). Session Cookies can be helpful for remembering items you put in your shopping cart as you browse a website, or for security reasons. Persistent Cookies are stored on your device in between sessions, which allows for your preferences or actions to be remembered and used on a website or across different websites. Persistent Cookies may be helpful in remembering your preferences and choices when using a website or to ensure advertising messages are more relevant to you. Most browsers will tell you how to stop accepting new cookies, how to be notified when you receive a new cookie, and how to disable existing cookies. The "Help” function within your browser may tell you how to do this. Alternatively, you can visit www.allaboutcookies.org, which gives comprehensive information on how to disable cookies on a wide variety of desktop browsers. Third Party Cookies: We partner with advertising companies to place our advertising on other websites on the Internet. These companies may use third party cookies which allow them to develop personalized advertising so that it relates to information that may be of interest to you. Web Beacons: This is an electronic file on a web page that allows us to count and recognize users who have visited that page. Among other things, a web beacon can be used in HTML-formatted email to determine responses to our communications and measure their effectiveness - for instance, if you get an email from us and click on a link in that email to go to our website. You can generally avoid web beacons in email by turning off HTML display and displaying only the text portion of your email. Geo-location: Geo-location refers to technologies that permit us to determine your devices location. We may ask you to manually provide precise location information on our website, or to enable your mobile device to send us precise location information. We may also automatically use information from your web browser or computer to determine general location information, such as the city in which you live. By electing to enter into a contract with us for the purchase of goods, you allow us to use and retain your information as needed to provide you services, fulfill your order, administer and operate our loyalty program, comply with our legal obligations, and resolve disputes. These are also legitimate business reasons for the use and processing of your personal information. For example, we analyze transactional data for statistics that may contribute to the enhancement of our services. Another example would be if you place an order with us through one of our merchant suppliers, our merchant supplier may contact you if there is an issue with the order. Marketplaces and Partners Involved in Your Transaction: Depending on how you interact with us, you may make purchases that involve third parties. For example, you may make a purchase that involves a third-party website or marketplace. In such situation, you may initially view products on an EILEEN FISHER website and are then directed to a third party website for purchase, and EILEEN FISHER facilitates the order. If this is the case, it may be clear to you that a third party is involved in your transaction. In these scenarios we may share your personal information with that third party. Service Providers: We may provide your personal information to certain service providers, in connection with the fulfillment of your purchase or the improvement of our products and services. These service providers may include delivery agents, email providers, customer support providers, customs brokers, technical support, international revenue authorities, and fraud management parties. Third Party Marketing Features: If you opt-in as described in the Section “Marketing, Promotional and Other Information", we may supply your personal information to third parties. If you use third party items that interact with the EILEEN FISHER websites, including social media features, blogs, or other applications or items, we may supply your personal information to those third parties. EILEEN FISHER’s Protection: We will disclose your personal information as required by law, when we believe that disclosure is necessary to protect our rights or comply with a judicial proceeding, court order, legal process, or to enforce our Terms & Conditions and other agreements. Business Transitions: In the event EILEEN FISHER goes through a business transition, such as a reorganization, merger, sale, joint venture, assignment, transfer, or other disposition of all or any portion of EILEEN FISHER’s business, assets, or stock (including in connection with any bankruptcy or similar proceedings) with or acquisition by another company, your personal information will likely be among the assets transferred. Your Consent: We may share your information in other ways that you specifically consent to. Other Disclosures: We may disclose your Personal Information: (i) when we have reason to believe that it is necessary to identify, contact, or bring legal action against persons or entities that may be causing injury to you, EILEEN FISHER, or others; (ii) when we believe that applicable law, legal process, or regulation requires it; or (iii) to investigate, prevent, or take action regarding suspected illegal activities or fraud. In some circumstances we may be required to provide your personal information to a law enforcement agency and prohibited from providing you notice of that event. Aggregated Content: We may also share aggregate information with our merchant partners, PR agencies, advertising agencies, and other third parties. By aggregate information we mean information from multiple users that is not personal information. We take the security of your data very seriously. We take reasonable and appropriate measures to protect your data by using a variety of generally accepted standards, technologies, and processes. Please note that no method of transmission over the Internet, or method of electronic storage, is 100% secure and no one can guarantee absolute security. The security of your password is vital to the security of your data. We recommend that you do not share, reuse, or store any of your passwords with anyone else. We may retain your information for as long as your account is active or as needed to provide you services, comply with our legal obligations, resolve disputes, and enforce our agreements. If you have questions regarding how long a specific type of information is retained, please contact us using the information below. In certain cases, when interacting with EILEEN FISHER, you may be provided with a choice to opt-in or opt-out of receiving marketing and promotional information. In other non-marketing cases, you may not be presented this choice. If you, at any time, choose to opt-out of receiving such information, we will abide by that preference. Furthermore, at any time you may send us an email at experience@eileenfisher.com to opt out. You may also follow the unsubscribe instructions contained in the marketing communications you receive from EILEEN FISHER. In certain cases, we may give you the option to opt-in to receive marketing, promotional or other information from one of our partners or other third party. If you chose to opt-in for that, we will provide your personal information to that third party. No matter what your marketing preferences are, we may contact you to acknowledge, confirm, or fulfill any order that you place or for other legitimate business reasons. Some individuals have rights to request certain things of us regarding their personal information. If you would like to make a request to EILEEN FISHER regarding the personal information about you held by EILEEN FISHER, you may email us at experience@eileenfisher.com . We will respond to your requests regarding your personal information within 30 days. You may have the right to access the personal information we have about you. You may have the right to correct any errors or modify your personal information. You may have the right to request that we delete personal information held by us to the extent that we do not need to retain such personal information to comply with legal or regulatory reasons. You may have the right to object to processing of data that you previously consented to. You may have the right to complain to a regulatory body about our privacy practices. EILEEN FISHER adheres to applicable laws and regulations regarding your personal information moving across geographical and jurisdictional borders. Information submitted by you may be transferred by us to our other offices and/or to the third parties mentioned in the circumstances described above (see How We Use The Information We Collect), which may be situated (and may be processed by staff operating) in places other than your home jurisdiction, the U.S. and/or the European Economic Area (EEA). The countries concerned may not have similar data protection laws to your home jurisdiction, the US and the EEA. Where we transfer your information we will take all reasonable steps to ensure that your privacy continues to be protected. By submitting information via the EILEEN FISHER website, you agree to this storing, processing, and transfer. California Privacy Rights: Residents of the State of California have the right to request from companies conducting business in California a list of all third-parties to which the company has disclosed certain personally identifiable information as defined under California law during the preceding year for third-party direct marketing purposes. Children: EILEEN FISHER does not provide products and services to children, or knowingly collect or solicit information from children under the age of 16. If you are a parent or guardian of a child under the age of 16 and believe he or she has disclosed personally information to us, please contact us at experience@eileenfisher.com . The Store Locator is designed to help you find the closest store near you that carries EILEEN FISHER product. Click here to find out more about EILEEN FISHER. Eileen's inspiration has always come from her customers. We'd love to hear what you think. Live Chat with our Customer Service Team about your online order or other product questions. The "Live Chat" bubble appears in the upper corner of our site when our associates are available to assist you. Click to connect, type in your question and someone from the Customer Service Team will respond. Our Live Chat hours are Monday through Saturday, 10:00am-5:00pm, EST (excluding US holidays). Our online Customer Service Team is available Monday through Friday, 9:00am-10:00pm, Saturday, 9:00am-5:00pm, EST (excluding US holidays). Our Personal Shopping Service is available Monday through Friday, 9:00am-10:00pm, Saturday, 9:00am-5:00pm, EST (excluding US holidays).